Happy Saturday! You know what that means? 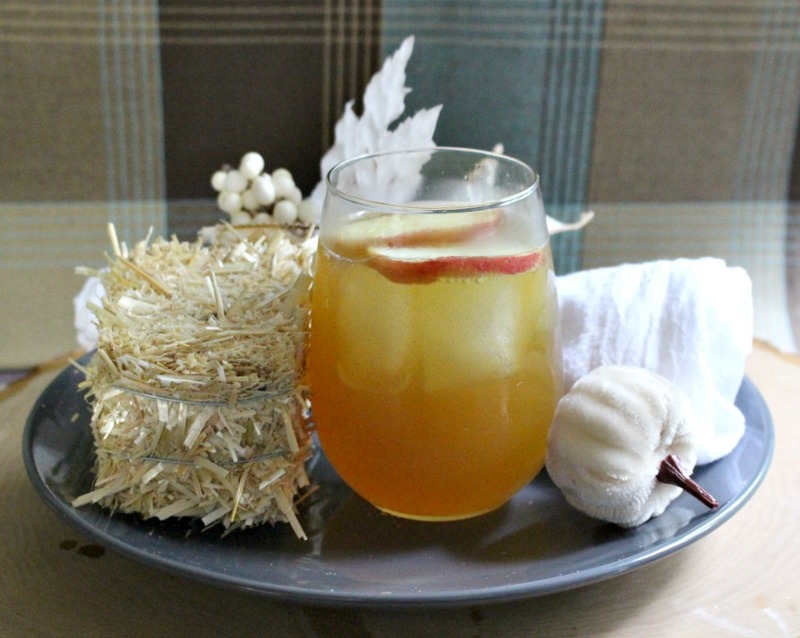 It’s time for another yummy fall cocktail recipe from me and 9 of my blogging friends. 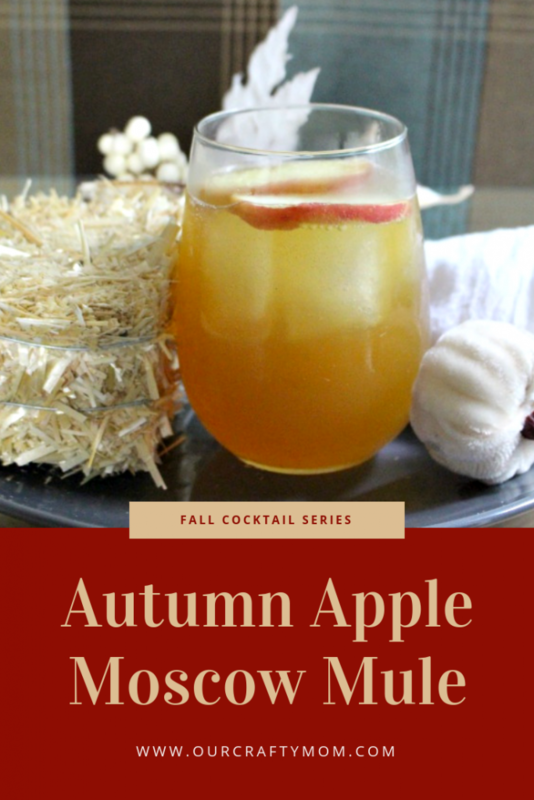 Check out this quick and easy Autumn Apple Moscow Mule made with just 3 ingredients! 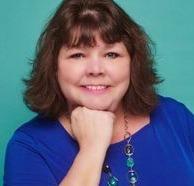 First of all, can I just tell you how much I am enjoying this fall cocktail blog hop? Every week I think, it can’t be better than last week, but it totally is! One of the things everyone seems to love, is these cocktails are quick and easy to make and don’t require a ton of ingredients. I love a good cocktail, but I don’t want to spend a small fortune or a long time making it. 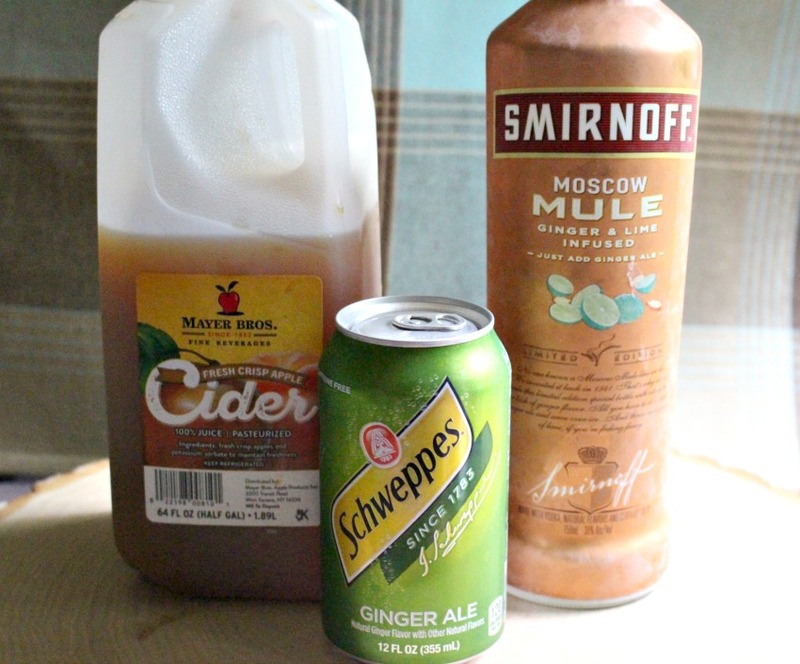 This apple moscow mule comes together in no time and your family and friends will love it. So I went to the liquor store with the intent of buying the ingredients to make a moscow mule, until I saw this display of new fall items. Right in the middle were these gorgeous copper color bottles of Smirnoff Moscow Mule, infused with lime and ginger. It was totally meant to be. It already has vodka and ginger beer in it. The instructions on the bottle said just to add gingerale. I figured it was worth a shot and it did not disappoint. 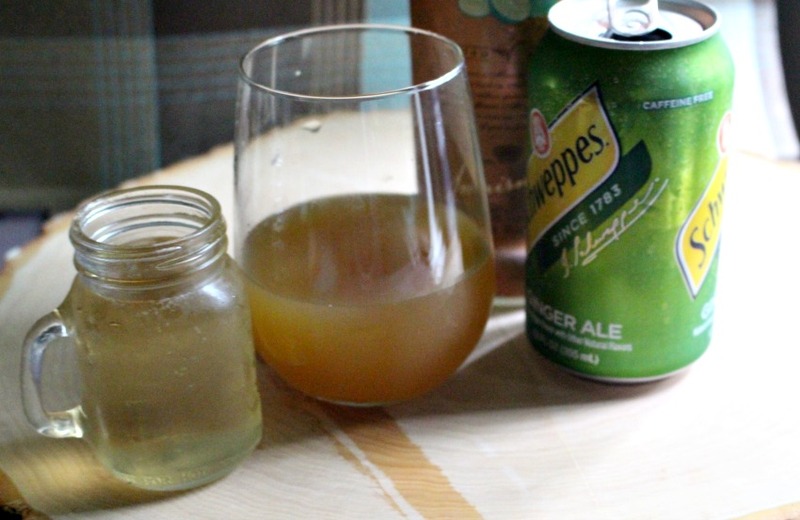 The thing I really liked is you can definitely taste the zesty ginger and tangy lime flavors. I thought to make it perfect for fall, I would just add some apple cider. Simply mix all ingredients in a glass or classic moscow mule copper mug filled with ice. Top with apple slices and add a cinnamon stick if you like. It is totally delicious! Of course, my daughter had to sample it and gave me another two thumbs up! My Son was visiting for the weekend and had never had a moscow mule and he loved it too – (they are both over 21). Isn’t the bottle it comes in so cool too? It makes you think immediately of the iconic copper mugs a moscow mule is usually served in. I’m heading to the home store to pick up some of these soon. I plan to make this cocktail for my sisters and want to serve it in the copper mugs. Let me know if you try this out. 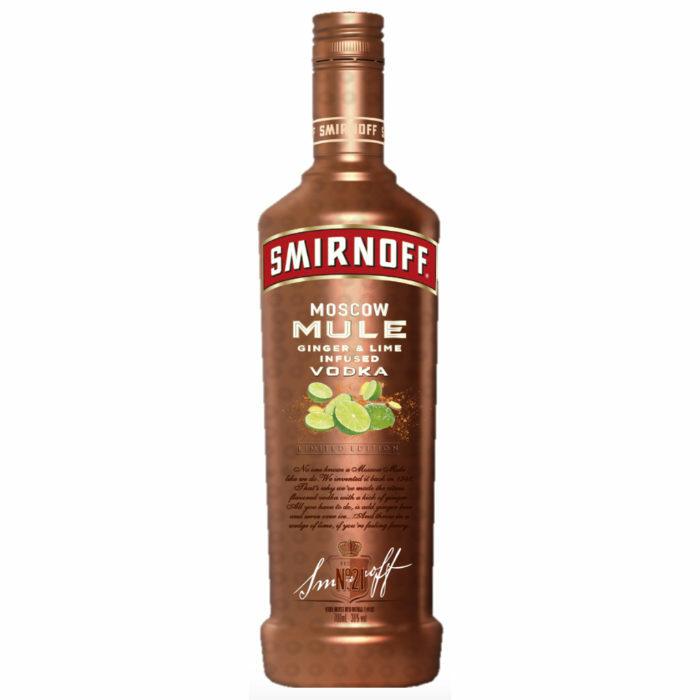 I’d love to hear if you like the new Smirnoff Moscow Mule. Be sure to check out the remaining 9 fall cocktails by clicking the links below. You will definitely want to pin this for the upcoming Holiday season! I hope you will join us every Saturday through October 6th to see what fall cocktails we will be sharing. You can check out a Pumpkin Pie Martini from Week 2 here and a Sparkling Apple Pie Cocktail from Week 1 here. I have never tried a Moscow mule. I’m printing this to try this weekend! (pinned too). Thanks for sharing at the What’s for Dinner party! Hope to see you next Sunday too. Have a wonderful week. I love that you added the apple cider in this. I think that would be amazing. 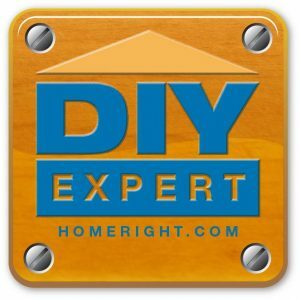 Thanks for adding copper mug links too. I need some of those! Glad the kids liked it too! I have never had a Moscow Mule, but this one sounds delicious. I think I’m going to have to give it a try since I love all things fall 🙂 Thanks for sharing on To Grandma’s House We Go! I have Moscow Mule mugs just waiting on this! Thank you for sharing with us at Celebrate Your Story and have a great weekend. 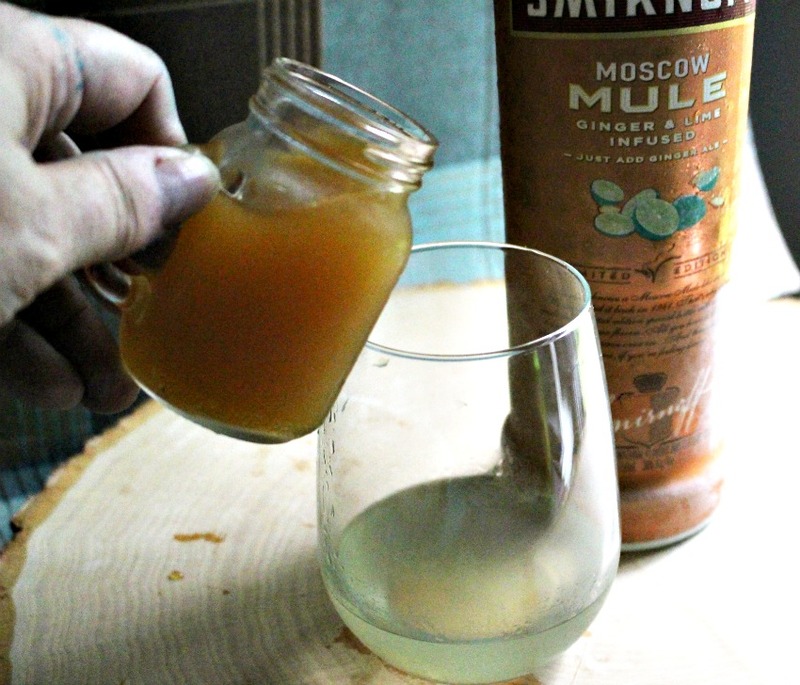 I haven’t seen this Moscow Mule mix before but it sounds great! I love the idea to add apple cider, too! Yum!